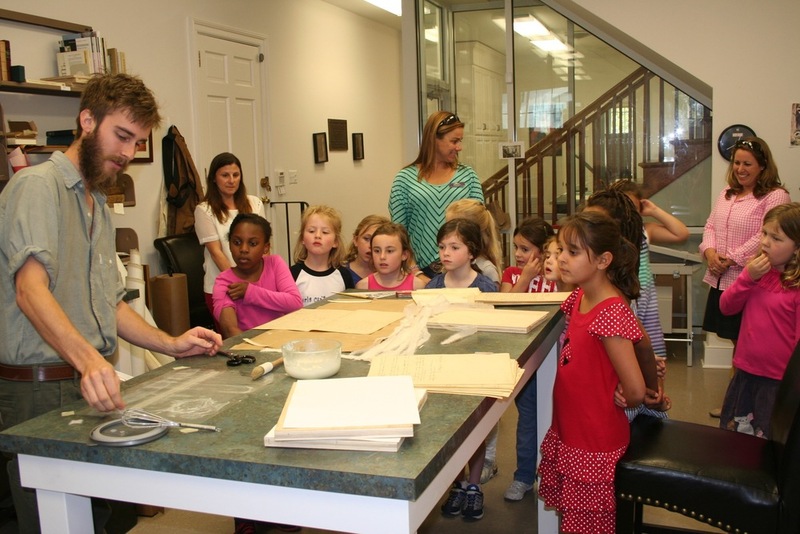 The Dorothy the Bookbinder's Bindery and Archival Lab was christened in December of 2011. From the summer of '12 to '16, past Director Brien Beidler oversaw repair and conservation of the Library's priceless collection. He directed courses and workshops on the art of the book and traditional binding methods. These responsibilities were passed over to our new Bindery Director, Kerri Harding in the summer of 2016. Kerri has many new goals and is determined to oversee the Bindery as it grows in the upcoming years. CLS is grateful to bring Kerri and her extensive knowledge of the book arts to the Bindery as it moves forward.